Supplier & Trader of Programmable Counter. Our product range also comprises of Programmable Logic Controller, Control Equipment and Siemens AC Drive. Owing to our rich experience and knowledge of this domain, we have been able to offer Programmable Counter to our valuable customers. 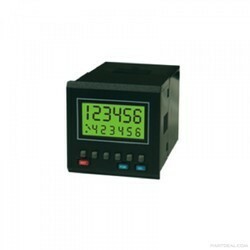 These programmable counters are used to perform up-down counter or length counter with Rate Indication in various industrial applications. Used in various plastic and textile industries, these counters are manufactured as per the industry set norms. Looking for Programmable Counter ?